Both manager Scott Servais and general manager Jerry DIpoto said that, as of now, Hernandez will stay in the rotation despite his struggles. The stipulation “as of now” was used by both men in some way, so that limits the scope of their decision or potential decision to a time frame, meaning it could change when it isn’t now. 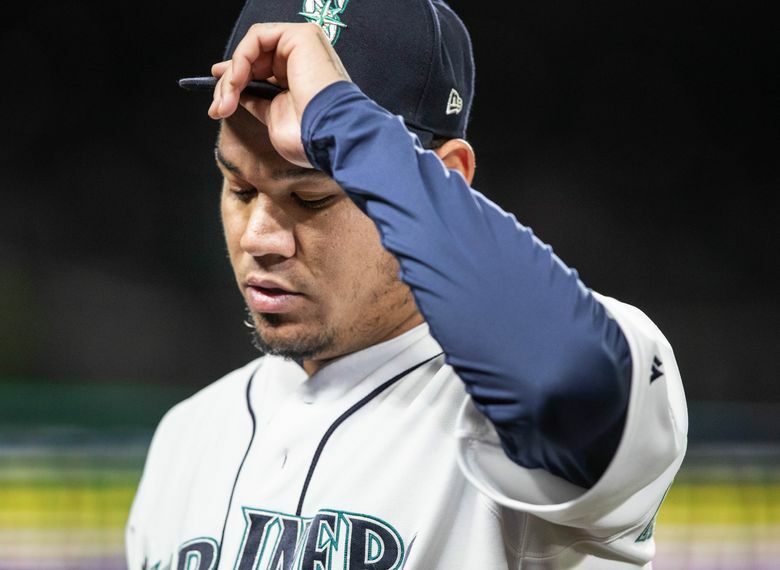 But as of Monday afternoon, Felix Hernandez will remain in the Mariners’ starting rotation and make his scheduled start on Thursday vs. the Toronto Blue Jays. Both manager Scott Servais and general manager Jerry Dipoto confirmed that there has been no decision to remove the one-time ace from the rotation. Servais had planned to meet with Dipoto discuss the rotation and the state of the team on Monday morning, but that wasn’t possible with Seattle making two trades in the afternoon. After discussing his acquisition of two relievers — lefty Zack Duke of the Twins and right-hander Adam Warren of the Yankees — in two separate trades on Friday, Dipoto was asked about the possibility of acquiring a starting pitcher to bolster the rotation. With that revelation, it was obvious to ask Dipoto if he had made any decisions on his rotation going forward, specifically Hernandez’s place in it?